Mark Shenton: Can renaming an award resolve a sorry state of affairs? 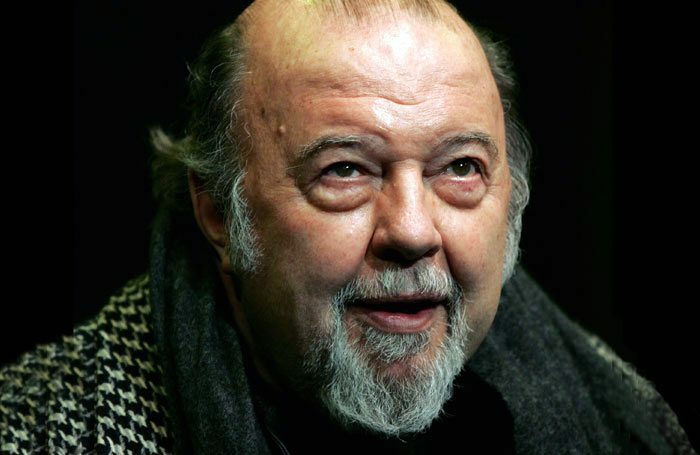 In the wake of last Sunday’s failure by the Oliviers to include Peter Hall in its In Memoriam sequence, not only have organisers now edited the sequence to include Hall, they’ve also decided to offer him the posthumous recognition of renaming the best director category in his honour. From now, it will be known as the Sir Peter Hall award for best director. Mistakes happen, though one has to wonder just how this one did – given that Hall is one of the most significant figures in the post-Second World War theatrical landscape. As well as being founder of the Royal Shakespeare Company, he was the successor to Laurence Olivier at the National Theatre, a one-time artistic director at Glyndebourne, founder of Kingston’s Rose Theatre and leader of his own commercial West End management company, the Peter Hall Company. Will the outstanding achievement in dance award now be renamed for him? Ditto, the omission of veteran actor Roy Dotrice – might we see the best actor (or best actor in a supporting role) award renamed after him? Standing alone, the new designation for the best director award risks standing out like a sore thumb and serving as an annual reminder of the mistake, since no other category has a subtitle like it. That said, it is common practice at other awards ceremonies, including the Evening Standard Theatre Awards, which has the Natasha Richardson Award for best actress, the Milton Shulman Award for outstanding newcomer and the Charles Wintour Award for most promising playwright. The Critics Circle Awards also has a number of categories named after late critics including Peter Hepple, the long-time editor and critic for The Stage. It’s often remarked that no one ever built a statue to a critic – but as well as those awards designations, Broadway has two theatres named in honour of former drama critics of the New York Times – Walter Kerr and Brooks Atkinson. On Broadway, they think nothing of renaming theatres in honour of more current names. In the last couple of decades, the Biltmore has been renamed the Samuel J Friedman (in honour of a Broadway press agent, no less), the Alvin became the Neil Simon, the Virginia turned into the August Wilson, the Martin Beck became the Al Hirschfeld (named after the famous caricaturist) and the Plymouth and Royale Theatres respectively became the Schoenfeld and Jacobs (named after the former chief executives of the Shubert Organisation that runs them). Then there are the commercially motivated renamings, whose naming rights come with a sponsorship deal. The former Selwyn Theatre on West 42nd Street, which is a Broadway home for the Roundabout Theatre Company, is now the American Airlines Theatre. The former Apollo Theatre on West 42nd Street was refurbished and rebuilt to reopen first as the Ford Centre for the Performing Arts, then the Hilton, then the Foxwoods, before now settling on its current more generic name the Lyric. In London, there’s been less of this. But when Cameron Mackintosh took control of the Albery and Strand, they became the Noel Coward and the Novello. Mackintosh is also set to rename the Ambassadors as the Sondheim when he redevelops it. Here, the more usual honour is to rename a particular area of a theatre to honour individuals – hence, inside the Coward there’s the Lionel Bart stalls bar, or the Delfont Room at the Prince of Wales or the Gillian Lynne bar in Mackintosh’s recently refurbished Victoria Palace. Not to be outdone, fellow West End theatre owner Andrew Lloyd Webber has recently announced plans to rename the New London Theatre in honour of Lynne. Perhaps, like the Oliviers and its belated honouring of Hall, Lloyd Webber is now making amends.